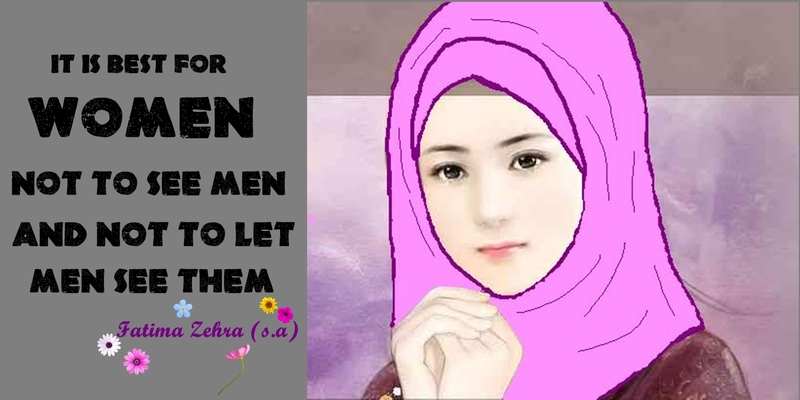 , Imam Jafar Sadiq (as) says: Modesty is the symbol of faith and whoever has no modesty (Hijab), has no religion. 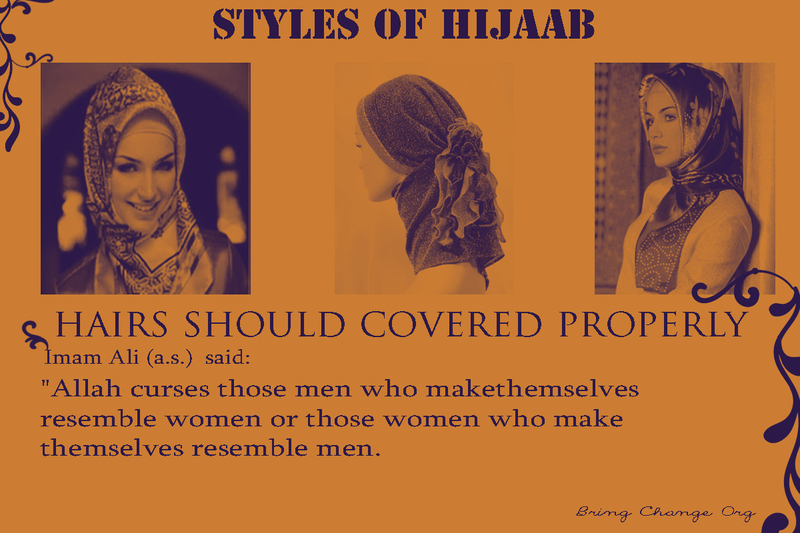 To observe proper Hijab is to dress up oneself modestly and appropriately covering all parts of body except face and forearms, without showing one’s figure or curves and without using any sort of make-up. The woman in Islam is bestowed with respect and honour and a Muslim gives great importance to his wife. Our Holy Prophet Muhammad’s (saw) Hadith says the best of you are those who are best in resting their wives. These are some styles of Hijab for our sisters which could like by our sisters , it is really necessary to wear Hijab for women it is their beauty and honor . Some Questions and Answers about Hijab . It is not permissible as a measure of precaution. Are girls and women allowed to wear black coat and scarf all year round, even when it’s not Muharram? Woman should conceal her body and hair from a man who is non-Mahram, and as an obligatory precaution, she should conceal herself even from a Na-baligh boy who is able to discern between good and evil, and could probably be sexually excited. But she can leave her face and hands upto wrists uncovered in the presence of Na-Mahram, as long as it does not lead him to casting a sinful, evil glance or her to doing something forbidden; for in both these cases, she must cover them. salam alaikum mujhy pochna tha.k mai proper hijaab krti hoo.,,lakin mere husband mujhy fitting k dressess pehnaaty hain..kia iska gunha hum pr hoga.?? ?